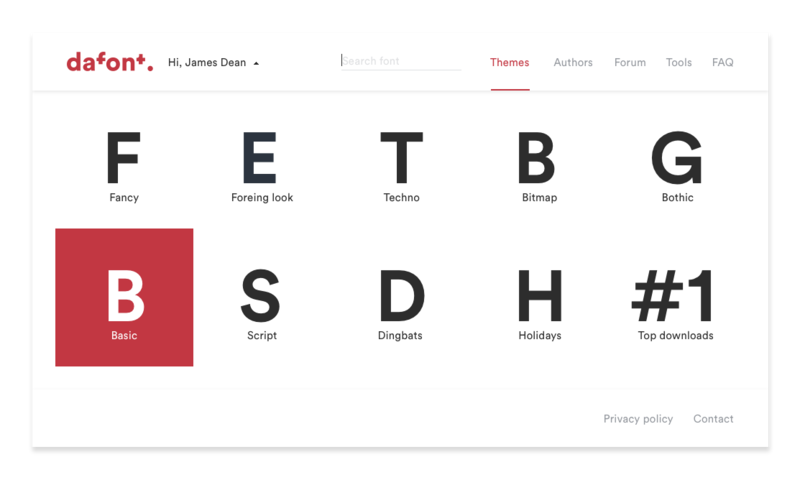 Before web font sites like Typekit and Google Fonts it was very hard to access libraries of popular and renowned typefaces. There was the FontFont with one of the biggest and most beautiful collection of fonts from famous typographers and popular foundries. The only problem was that you had to buy them. An alternative for me was the site Dafont, with their massive collection of free fonts it was a good alternative for my typography endeavors. The site remained the same for quite .a long time but now, apparently it is getting a well deserved redesign by André Mendes. 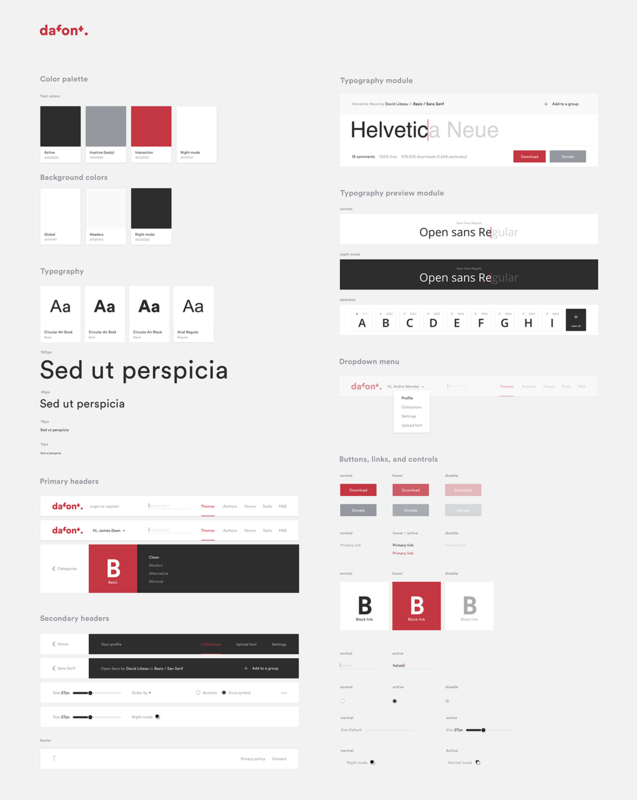 André is working on the rebranding and web site for Dafont and he was super nice to share a bit of the process behind it with examples of the UI system and some insights about his creative process. 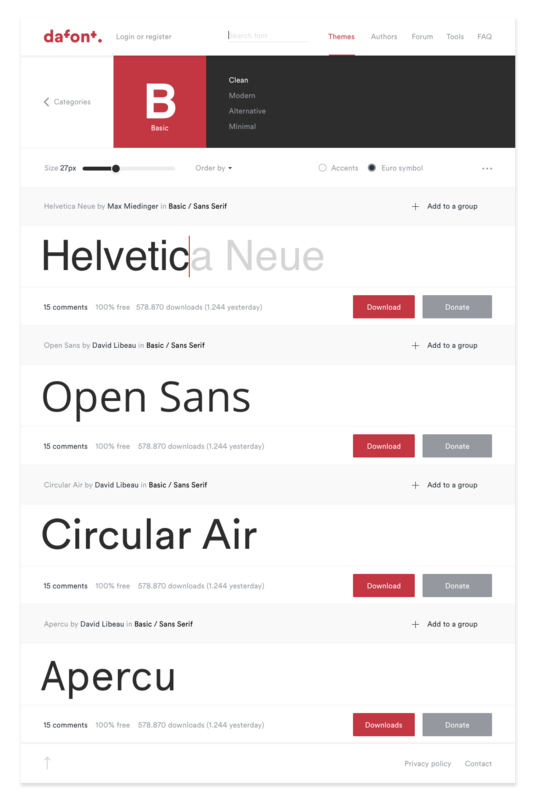 The idea behind this exercise is to enhance this great free source tool for designers and give it a new identity, since the one they have is, in my opinion, quite poor. The font used is Circular, from Lineto, one of my favorites. I love the use of negative space for the logo, it's a simple, yet effective way to play with the typography, especially for a very well-known word, like font. The result is quite elegant in my humble opinion. Designing with a system helps to unify all the visual and functional elements, providing a consistent and simple interface, says André. The benefits of using a Modular System is that it makes it easier to organize all the information on the website, it also easier to make it responsive and easier to develop. André Mendes is a Madrid-based graphic designer, specialized in editorial, graphic, branding and UI/UX. For more information about this project make sure to visit the Behance project. Celebrating Christmas in July? As far as professional gifting services go, Token’s done a great job building a product around a universal truth: great gifts are tough to find.